Calm down. i use this for races replacement. i replace just the npc. 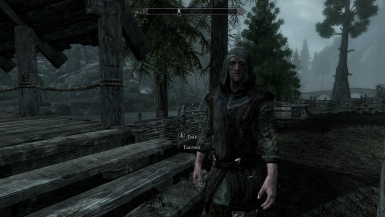 you need this mod http://www.nexusmods.com/skyrim/mods/28239/? read, i replace, beast races for dwarfs and hobbits in alpha one, the 3 races of elves (npc's) now are normal elves. and the orcs now are just males all of this in alpha 2. and alpha 3 replace de dwarven vanilla machines for falmers. to anyone who dont like machines. and if this dont work use with the link i put up. Are these races playable or just for NPCs? i think its playable. i cant say for sure. i made it for npc. but i think the model appear in character creation. 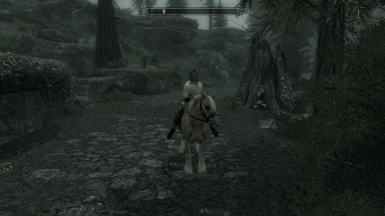 I get an instant CTD upon loading Skyrim with this mod. I have Dawnguard, but does this have a dependency on LOTR V2? I don't use the Steam Workshop because I don't like the way they DL files automatically upon startup. This mod did indeed have a dependency on LOTRv2 in that the Hobbit Race used was from that other mod. 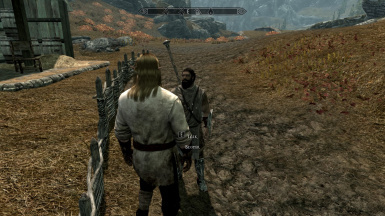 There is a duplicate of the dwarf race in this mod that makes the Dwarves standalone, but I had to change all the Hobbits to Dwarves to get this mod to run without LOTRv2. That's no problem, as I like Dwarves, but I thought I would let you know that FYI. Either way: Endorsed! thanks i will upload the front page. LOTR V2 needed. but as i said, this mod is complement. Use F12 (steam screenshot button) and not printscreen and it should work then. no pictures ? and downguard... ??? If this is what you say it is - give us some pictures! It would be fantastic if it actually replaces everything in the game with LOTR races, but I somehow find that... unlikely. No informations, no screenshots, basically nothing. Tell me, why would you think anyone would download it? You have to give us something so we know what we get! Euh ... pictures, something ? No pictures or anything. You are insane to think anyone will download this.